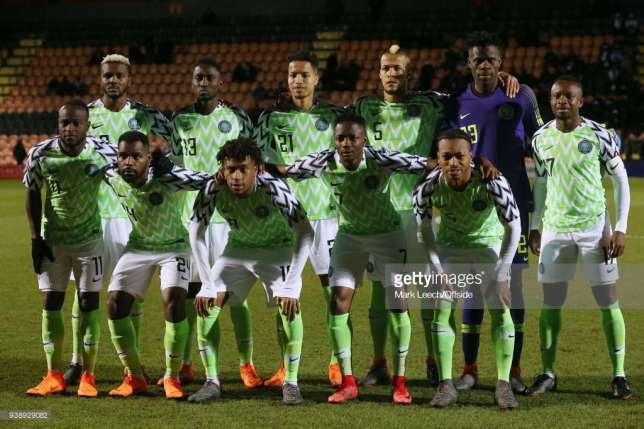 Super Eagles know anything short of victory could prove a great danger to their quest of qualifying to the knockout stages of the FIFA World Cup as they confront Iceland in the second match at the Volgograd Arena on Friday (4pm Nigerian time). Both teams will be hoping to steal the maximum points in a bid to remain in Russia having had contrasting results in their opening fixtures against Argentina and Croatia respectively. Nigeria lost 2-0 to Croatia while Argentina played out a 1-1 draw against debutant, Iceland in their opening fixture. Nigeria have only failed to make it through the knockout stages in 2010, in a group that consists of South Korea, Greece and Argentina since their participation at the FIFA World Cup. Statistically, this is the first time that the two teams will be playing each other in any competition, of which they will be going for the jugular before their final group matches. However, Super Eagles Technical adviser, Gernot Rohr will be expecting the trio of Alex Iwobi, Victor Moses and Mikel Obi to put in their ‘A” game against an Iceland side who would want to capitalise on Nigeria’s aerial weakness. Meanwhile, Iceland coach, Heimir Hallgrímsson will be banking on players such as Gylfi Sigurðsson, Aron Gunnarsson, Jóhann Berg Guðmundsson and Birkir Bjarnason to shoulder the goalscoring responsibilities and even cause a major upset against Nigeria.